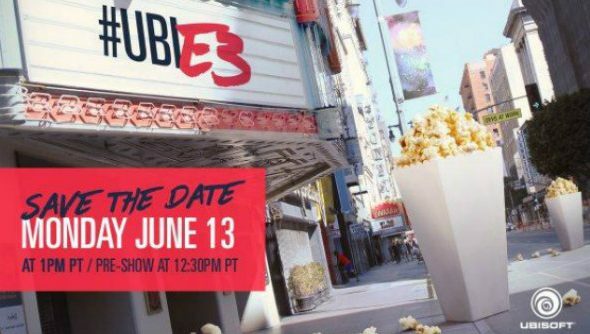 Ubisoft have announced they will host their annual E3 press conference on June 13. The pre-show will begin at 12:30pm PT, with the main event following at 1pm PT. Get ready for our list of upcoming PC games to grow. Microsoft are hosting their press conference the same day, at 9.30am PT. If you look at the announcement image, you will see Aisha Tyler’s name on the side of the building under the “Devs At Work” street sign, so expect the veteran presenter to return this year. No further details were given, butI’d say For Honor, South Park: The Fractured But Whole, and Tom Clancy’s Ghost Recon: Wildlands are all pretty much guaranteed. Watch Dogs 2 is also likely, but beyond that I’m not too sure. We already know Assassin’s Creed is skipping this year, and surely it’s too soon for another Far Cry announcement. Maybe we’ll be surprised with some more new IP. What do you lot reckon? Let us know your guesses in the comments and then you can screenshot it when you’re right and show everyone how cool you are.